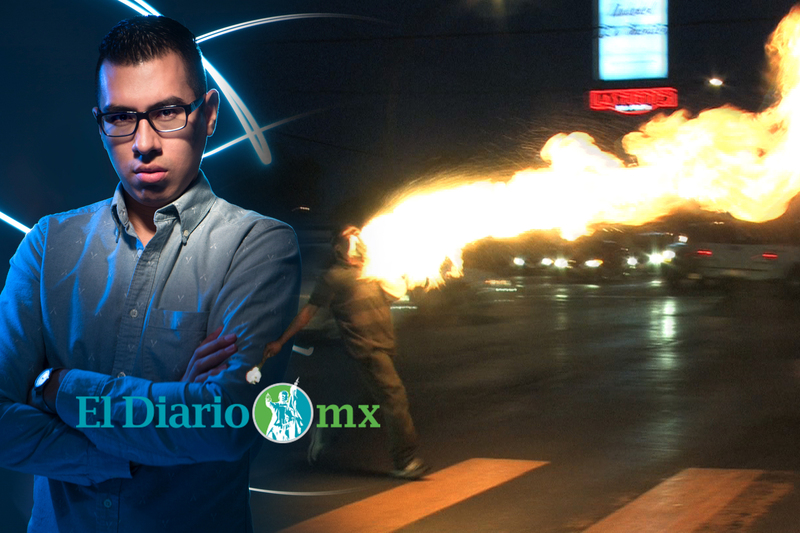 Director Krisstian de Lara gets interviewed by local newspaper El Diario de Juárez to speak about the premiere of El Dragón at Plaza Classic Film Festival under the Local Flavor showcase this Saturday, August 12th. The article “Con sabor local” (With Local Flavor) goes into detail about the film festival showcasing fifteen films from seven filmmakers from the border community of El Paso, Texas and Juarez, Mexico, including the city of Monterrey, Mexico. In the interview, Krisstian speaks about using The University of Texas at El Paso’s equipment to film the project, “It took me a day to film it, I remember that day, I rushed to Juarez to find a fire spitter and I found Jorge.” Krisstian said during a phone interview with El Diario reporter, Natalia Piña. To read the complete article, “Con sabor local” click here. Watch El Dragón‘s trailer below or click here. 333 N. Oregon, Foundation Room – Saturday, August 12th, 2017 at 8:00pm in El Paso, Texas.